Mount Sopris Instruments manufactures, distributes, and rents geophysical equipment and software for subsurface investigations. Our products include borehole logging equipment for groundwater, mining, research, geotechnical, and other applications. We offer a range of stackable wireline probes, versatile data loggers, rugged logging winches, and WellCAD – the industry standard in log presentation software. 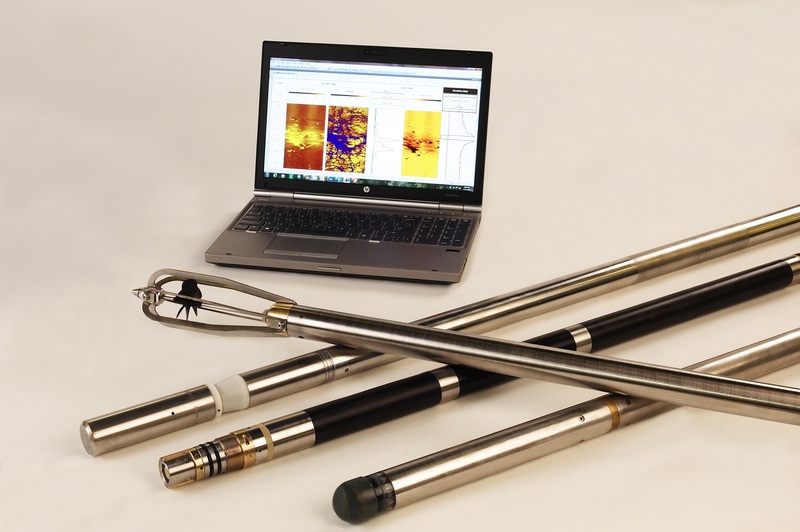 Mount Sopris offers the widest range of slimline downhole probes in the industry. Designed to standup to the harshest borehole environments, our small diameter sondes are also surprisingly lightweight and easy to handle. Most probes come in both stand-alone and stackable versions, saving you time and money. Please check out our standard probes below. Mount Sopris offers WellCAD™ log acquisition and processing software, the most intuitive and comprehensive user interface in the industry. Combining excellent display, editing and analysis capabilities, WellCAD™ has become the standard log composite software in mining, natural resource, geotechnical, and other communities. WellCAD is a trademark of Mount Sopris partner, Advanced Logic Technology.